George Samuel Briley Huggins was wounded at the battle of 2nd. Manassess and was crippled. He was a prayerful, christian man, and used to walk the old foot-logs across Muddy Creek Swamp every Sunday to attend Old Johnsonville Church. George Samuel Briley Huggins was born June 18, 1831, eldest son of Rev. 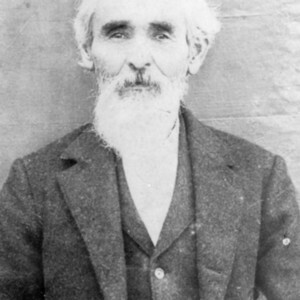 John Samuel Huggins of Timmonsville, inventor of the first cotton planter used in the south and his wife Zilphia Ham. He was the grandson of George Huggins, one of the largest landowners in the Darlington District who was elected to the 32nd General Assembly and his wife Letitia Montgomery. He was the great grandson of Captain John Huggins, Justice of the Peace for the Darlington District in South Carolina, who commanded a troop of Cavalry in General Francis Marion's Brigade in the Revolutionary War and his wife Elizabeth White Simmons. He died Nov. 28, 1914. His will was probated Jan. 2, 1915 at the Williamsburg County Courthouse, Will Book E, Page 29. He married his first wife, Elizabeth Timmons on March 3, 1853. Elizabeth was born March 21, 1839 and died at Johnsonville on November 11, 1833. Elizabeth was the mother of all his children. After Elizabeth died, he married Emily Timmons Stone Eaddy, a widow and sister of his first wife, on March 11, 1884 at the Old Johnsonville Church. This date was Emily's birthday. After the death of Emily in 1900, he married Narcissa Verline Carter on September 21, 1905. George Samuel Briley Huggins was a trustee and one of the original founders of Trinity Methodist Church. He was also one of the original founders of the Old Johnsonville Methodist Church where he served as a minister. He also supported the Ebenezer Methodist Church at Muddy Creek where he served as a steward and was a minister. After the war, he returned to his farm near Muddy Creek, SC and to the ministry of the Methodist Church at Muddy Creek and Old Johnsonville. One of his granddaughters, Lillian Maude Buck McDaniel, recalled that as a child her mental image of God somehow incorporated the characteristic features of her grandfather - the strong but kind face, the leonine head of white hair and beard, and the authoritative tone and demeanor. She describes him at prayer, at home and in church , where he knelt, stiff knee and all, to address his Lord in a manner she was convinced that elicited a readier response than most mortals were privileged to receive. She also remembered that he was so earnest in prayer that he would forget the passage of time and would sometimes have to be nudged by his wife to realize that others wearied more easily than he. At Christmas time, George Samuel Briley Huggins would personally pour the Christmas sillibub - Portion Control! He was known for his good wines,also dispensed judiciously. headquarters for the Army of Potomac, 11th corps, on 29 September 1862. After his recovery at home, he was placed on detached service to the Commissary Department in Williamsburg county and reported to J. B. Chandler. He was lame for the rest of his life. On June 18, 1908 more than 75 family members gathered at his home for a birthday celebration that included food, fellowship and musical entertainment by the children. This article was printed in The County Record on June 25, 1908. 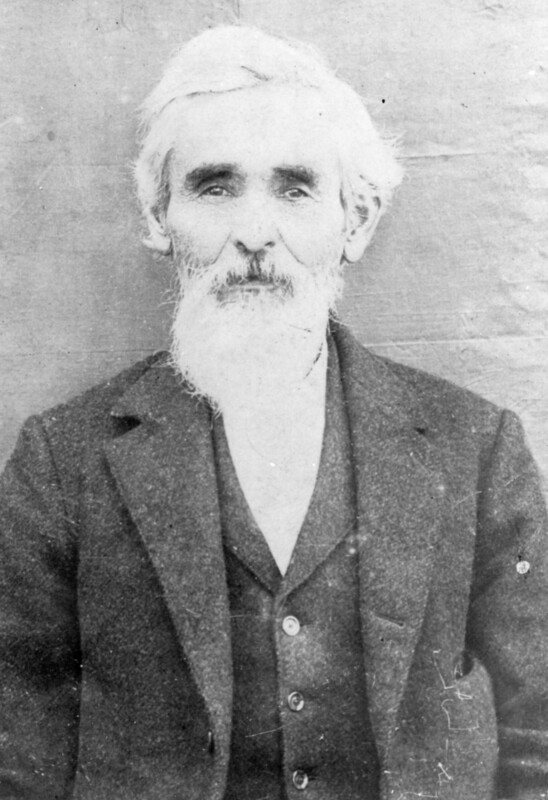 “George Samuel Briley Huggins,” Johnsonville SC History, accessed April 23, 2019, https://www.johnsonvilleschistory.org/items/show/370.